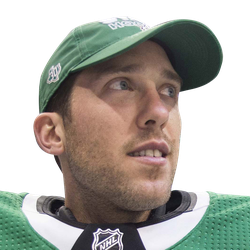 John Klingberg scored a goal, and Ben Bishop made 28 saves for his fourth shutout of the season as the Dallas Stars outlasted the visiting New York Rangers 1-0 on Tuesday. Bishop's shutout was the 28th of his 10-year NHL career. He is now 11-2-0 all-time against the Rangers. 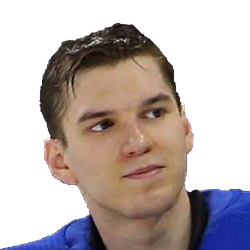 Georgiev, who started back-to-back games in goal for just the fourth time this season, kept the Rangers in the game with a rousing effort on a five-on-three Dallas power play in the middle of the third period. He also stymied the Stars on a subsequent power play, and he wound up stopping 31 of the 32 shots he faced. Neither team had any success with the man advantage, with New York going 0-for-4 and Dallas finishing 0-for-5. The Stars won for the third straight game and for the fourth time in five outings despite playing without two of their top forwards. Alexander Radulov was a healthy scratch after he was late for the team meeting Tuesday morning. Andrew Cogliano also missed the game, his third straight, because of an upper-body injury. They are the only games he has missed because of injury during his 12-year NHL career. The Rangers are 0-2-3 in their past five games, matching their season-worst, five-game losing streak. New York has won just three times in its past 11 games, going 3-5-3 over that stretch. Four of the Rangers' past five games, and six of their past nine, have been decided by one goal.